Since we’re talking about free patterns here, today we have a fresh set of patterns that have designed by JenniStock. JenniStock did an amazing work, and thanks to her, we got 11 free Photoshop background patterns that you can use in your designs. These are some nice patterns in two different sets, and each set includes colorful dice patterns. 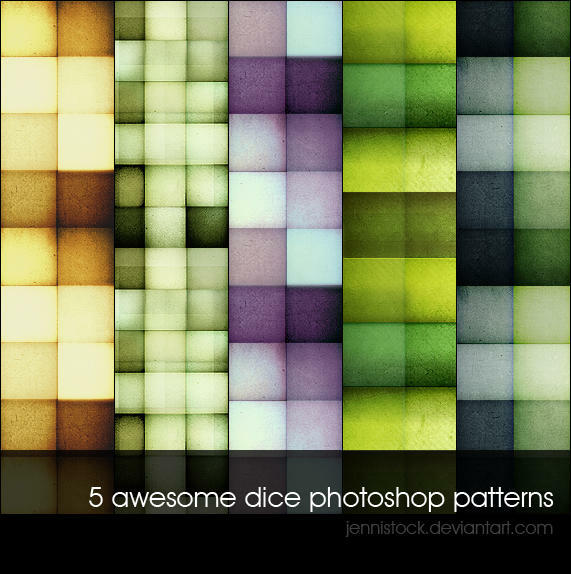 These aren’t just plain patterns and all of them come with a certain texture so we can say that JenniStock really did her best with those, therefore, these patterns are one free design resource that you must have. I’m downloading them at the moment, and I can’t wait to use them in my designs so I’ve decided to share those with you. So there you are, 11 free patterns for you to use. I hope that you’ll like them.